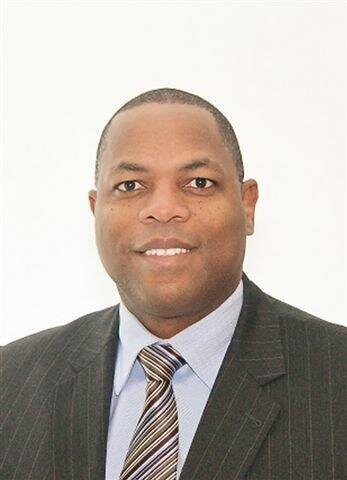 Mark Beckles is the head of RBC Insurance Advice Centre where he has national responsibility for leading over 600 licensed insurance advisors who provide insurance advice and solutions to 750,000 RBC insurance clients across Canada. Previously, he was regional vice president of retail banking with responsibility for north Mississauga where he had P&L responsibility for a portfolio in excess of $5.4BN. At RBC, Beckles serves as an executive champion for cultural markets and helped to create the national RBC Black History Month essay competition. He has over 30 years of experience in financial services with international executive leadership experience in banking, insurance, risk management and non-profit leadership. Widely recognized as a leader in the African-Canadian community, Beckles is known as a consensus builder for his ability to navigate cultural and social divides to bring communities together. His international development experience was effectively demonstrated when as president and CEO of the Nelson Mandela Children’s Fund (Canada) he raised millions of dollars to support development projects in Africa. He was also instrumental in securing financial support from the Government of Canada to enable early childhood development initiatives in South Africa. Through his dedication to helping communities prosper, Beckles has enabled corporate Canada to see opportunities and partner with grassroots organizations to create change through financial investment in community initiatives. He is actively engaged in community initiatives and has served on the board of many charitable organizations, including as governor of the Canadian Unity Council, vice-chair of World Relief Canada, and a director of the United Way of Peel Region. He currently serves on the board of Harbourfront Centre, and is an advisory board member of the Canadian Multicultural LEAD Organization. Beckles has been the co-chair of two Toronto mayoral campaigns and served as riding president for Brampton-West for the Ontario Progressive Conservative Party. He was also the co-chair of the organizing committee for the opening ceremonies of the XVI International AIDS conference held in Toronto. In 2011, the Barbados-born community leader received the City of Toronto Bob Marley award for his commitment to diversity and city building. A year later, he was recognized with the BBPA Distinguished Men of Honour award. He was also recognized for his work in support of the Canadian Sickle Cell Network. In 2012, Beckles received the Queen Elizabeth II Diamond Jubilee medal for his community volunteerism. The Black Business and Professional Association presented him with the Harry Jerome award for professional excellence in 2015. In 2016, Beckles was recognized by RBC with the inaugural RBC Global Citizen award for his contribution to diversity and inclusion. He was also recognized with the Barbados 50th Independence Anniversary award by the Barbados Consulate General for his commitment to community service. Beckles holds an MBA in international business from the University of Bradford and has completed executive programs with Richard Ivey School of Business, and Rotman Business School. He is a member of the Institute of Corporate Directors and holds the (ICD.D) designation. He and his wife, Wendy, have three children.